God is so gracious and responsive. He may not reveal the solution to a request right away, but He does show Himself if we can recognize the signs. In fervent prayer yesterday morning I brought a burden to Him. 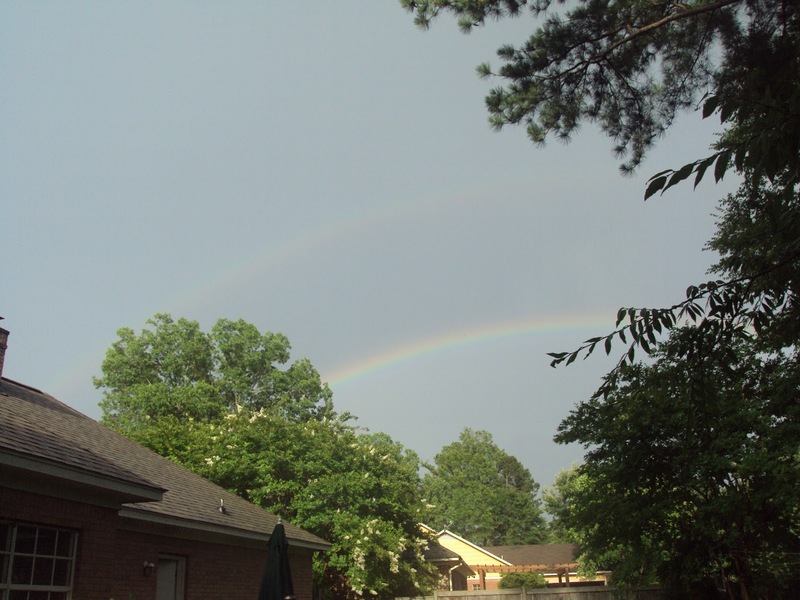 He beautifully responded by the afternoon with a double rainbow across the sky. This rainbow meant something to me personally. It served as a reminder that God is aware of my struggles and just because my current trial hasn’t ended, it doesn’t mean He isn’t in control. Do you share a personal sign between you and God? If so, feel free to share it in the comments.